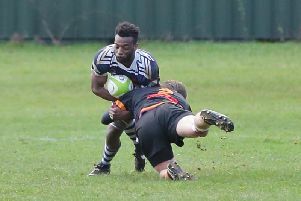 Leighton Buzzard’s improvement in form continued gaining a four-try bonus point in defeat at home to Peterborough, in their latest Midlands 1 East league game. 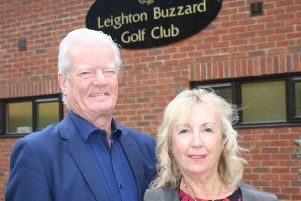 In cold and dry conditions, Leighton kicked off with the benefit of the slope and wind. With a renewed confidence following their fine performance away at league leaders the previous week, the Buzzards started well. An excellent break by full-back Harri Sayer was stopped just short, but the recycled ball was spread wide for James Pratt to score the opening try after 10 minutes. The difficult conversion was missed, so Leighton led 5-0. The lead was extended seven minutes later. This time James Pratt had made the decisive break and when the ball came back to Captain Jack Whitehouse, he delicately chipped through for James Brett to touch down. The scrum-half converted his own try, to make the score 12-0. Although Leighton had started well, Peterborough’s backs were looking dangerous with genuine pace at both full-back and wing. It was little surprise when after 25 minutes they scored their first try with a fine move, to cut the lead to 12-7. Perhaps the visitors had been surprised by Buzzards’ early intensity but they were now building momentum. A succession of penalties had put Leighton under pressure and, finally, a clean break from a maul led to a try under the posts. With the conversion a formality, Peterborough took a 12-14 lead into half-time. Despite now playing against the elements, Buzzards started the second half well and re-took the lead after six minutes. Raef Braithwaite showed genuine pace on the wing and although stopped short, Reece Harris-Smith regained possession and dived over. Again the conversion was missed leaving the score 17-14. Peterborough responded immediately with the home side pinned back in their twenty-two. Less than two minutes after the try, Leighton were down to 14-men after James Brett was the recipient of a yellow card for cumulative team offences. Worse was to follow – only two minutes later , Andy Harris- Smith was shown a further yellow card for a deliberate knock-on, meaning Buzzards were down to thirteen men for eight minutes. This period was decisive with Peterborough scoring two tries – the first a penalty try and the second after seventeen minutes, to extend the lead to 28-17. The visitors added a fifth converted try when their full back cut through to leave Buzzards trailing 35-17. Whilst the result was not in doubt, Buzzards knew that if they could score a fourth try they would receive a bonus point for their efforts. As the clock ran down they put intense pressure on the Peterborough line. Finally their efforts were rewarded when full-back Harri Sayer broke through to score the try. Whilst there was just time to re-start, that was the final score to leave the result 35-22. Buzzards remain in 13th place and next week have a vital away game at 11th placed Rugby Lions.